Camp Simba brings children of cancer patients around the island for exciting games and outings, including the Sentosa Luge, the Singapore Zoo and most recently, a trip to Snow City. Although we have garnered subsidies for these attractions (and we are grateful for that! ), every year the 12-membered exco will have to raise close to $30,000 to provide for the activities. As much as we would love to bring children to as many attractions possible, we are unfortunately limited by our tight budget. As the camp grows to accommodate the increasing number of participants, our fundraising efforts have become increasingly challenging. 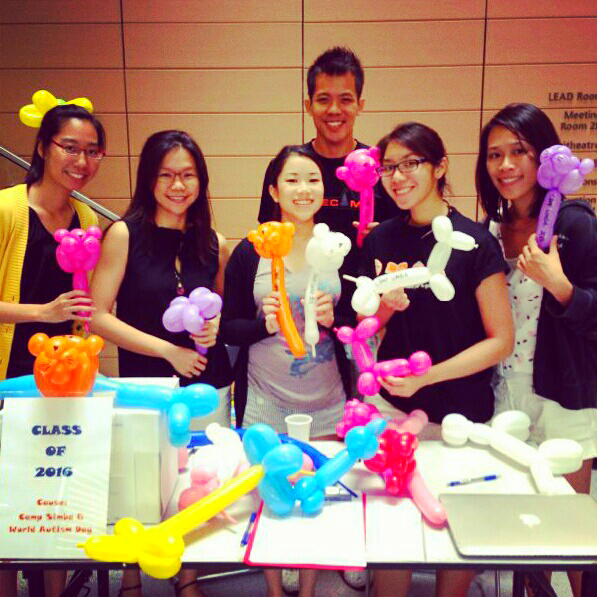 Nevertheless, Duke-NUS students set up a balloon sculpture booth at the Duke-NUS Annual Giving Campaign held on the 6th of February, at the Duke-NUS GMS atrium. The exco folded balloons puppies, flowers, handbands, etc. according to requests from the lunchtime crowd. 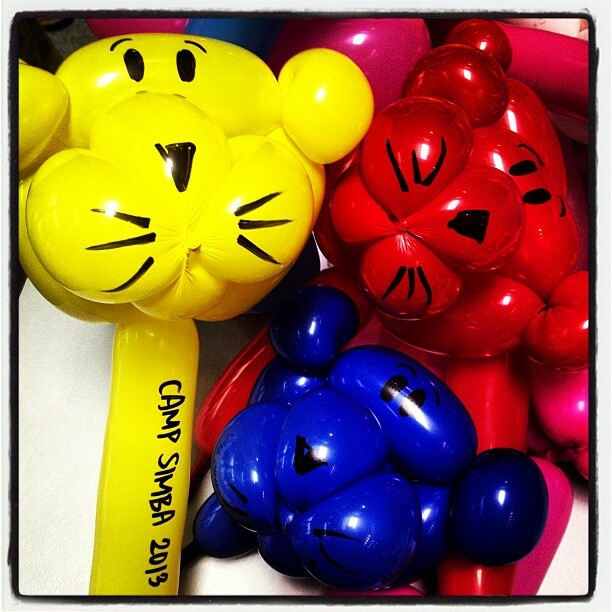 Check out the our balloon SIMBA! At the end of the day, Camp Simba received $367.00 from generous donors. A big THANK YOU to all staff, students and everyone who supported us at the event. Fundraising efforts are ongoing throughout the year. If you wish to help us out for the camp this year, simply click the "Support Us" link below and and mail your cheque to the address mentioned within. Only cheques can be processed at the moment, if you wish to make a cash donation, kindly email us. No amount is too little, and every cent makes a difference to the children's lives. ALL PROCEEDS will go towards the continuity of Camp Simba (no one profits from this! ).